Social media isn’t going anywhere. The platforms may change (remember when MySpace as king?) but people will continue to flock to sites where they can share news and photos, and see what their favorite companies and celebrities are up to. 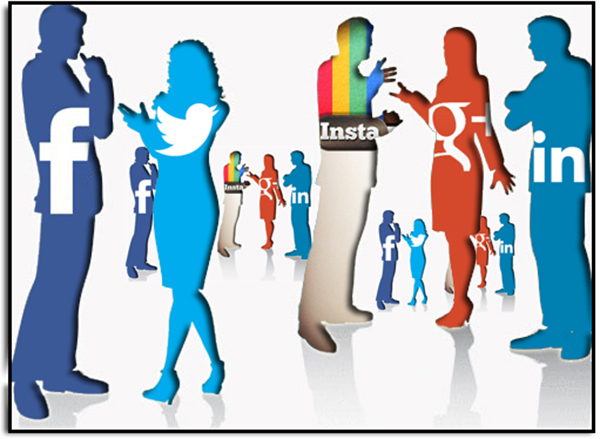 Does the term “social marketing” leave you bemused? Does a Facebook business page setup have you stymied? Don’t know the tricks to tweeting? Let us help. We’ll research content relevant to your products or services, mix in enough trivia and other fun stuff to keep it entertaining, and post at the optimum times of day for maximum engagement. Paid advertising on social media is affordable for any small company, and we’ll do all the behind the scenes work to push your social ads to more potential followers in your market areas, making them fans of your social presence and steering them to your website. And when it comes to the king of social – Facebook – you’re going to have to pay to extend your influence due to changes in how they present users’ feeds to them. Facebook now basically penalizes any business page relying purely on the “free ride”. We know how to create effective Facebook ads and promoted posts that will surface to more users. From Google+ to LinkedIn, there’s an untapped pool of customers in the social universe just waiting for you to convey your message to them. We want to help you reach them.